How to make your life work for you. What you can do to help yourself. This is everybody’s responsibility to do for themselves. When did you first realize that you were alone in the world? Was it when your mother or father first put you to bed and let you cry yourself to sleep? 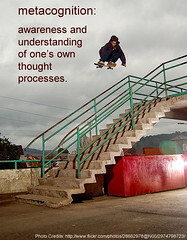 When did you first think about thinking (this is called metacognition)? Was this when you first realized that you were a separate individual? Rather lonely wasn’t it. From feeling safe and warm cozy in our family to feeling cold and alone. I first realized this when I went to school at age five. I was on my own and my parents weren’t necessarily on my side. I learned to keep secrets from them when what I did was not acceptable to them. They were no longer always on my side. They expected something of me that I couldn’t or wouldn’t produce. I had a lot of spirit then but it usually led me to tears. Was this the beginning of weltschmerz? (world pain). I realized my parents didn’t understand me and probably never would. How alone is that! Is your thinking sometimes counterproductive? Do you think the same old thing over and over and it doesn’t do a thing for you or your situation? Do your thoughts often block your creativity and productivity? How often do you think to yourself, “I can’t so why even try?” It always keeps you from doing anything about it. Counterproductive thinking often keeps one from thinking out of the box which is sometimes necessary to think of a solution. Creativity is what it is all about. Instead of thinking of one solution (even if tried and true) for a problem, think of many even if they don’t all work out then you have “exercised” your creativity. I think the word is rigid for those who are stimmied when their planned for or go-to solution doesn’t work. Some people have an incredibly difficult time changing gears when the first solution doesn’t work. I always say, “If not plan A, then plan B. If not plan B, then plan C and so on.” The world is not designed so that “one size” fits all situations. The brain continues to form new connections as long as you continue to use it. Grow with me Come share the excitement of a new ay of thinking, of possibility thinking. Weddings are occasions when inevitably this type of problem occurs. There seems to be at least one snafu. The wrong wedding flowers arrive, the photographs don’t turn out, etc. You can grin and bear it or try another way. This ensures a happy occasion. The guests might even think that you planned it that way. Handling your emotions can be difficult because their origins are in both your conscious and unconscious minds and even when you are aware in your conscious mind why you think you may be feeling a certain way, you may not be right. A lot of associations are made early in life before you even go to school. Many associations are being formed in the brain long before we can actually think and/or talk about them. Understanding why something happens is limited or if explanations are formed, they may not always be correct. This is why child abuse can be such a powerful influence on children. For example, a child may wrongly assume that there was something they did or thought that was the reason for the abuse. Children are very vulnerable and when there is no one there to protect them, they may feel deserted and frightened especially when they can’t help themselves. Often as adults we feel that our feelings are caused by something “out there” and that justifies what we do in response to express or act out those feelings. Often that feeling that there is something out to get us stops us in our tracks and we becomes unrealistic in our thinking. We often think there is no way out and we are helpless. This is often a flashback to childhood when thinking that way was elicited by the fact that we did not have a lot of experience finding solutions to problems and did not feel very capable of solving our own problems. We were often in situations where we had to wait for help to come from outside ourself. Say, “I think I can; I think I can”, like the Little Engine That Could instead of, “I can’t.” We aren’t helpless when we experience emotions. We just think we are. We are just under the influence of unconscious learned associations. Think before you react. Did somebody really hurt you or do you just think they did? You can learn to control yourself and to use your emotions instead of letting them use you.